Steve Jaxon and Dan Berger start by tasting a very nice Estero Gold cheese, courtesy of their friend Sharon Montgomery at Oliver’s. Dan says this cheese is like a Manchego but he likes this one more for its nutty flavor. Steve introduces the winemaster at Kendall-Jackson, Randy Ullom. First he asks Randy to describe how his career began. He talks about being a skier when he was young and so he went to Utah. He spent more time skiing than studying. He ended up in Chile for the northern summer, for skiing. He stayed for three years. While in Chile he saw the wine business there. He left Chile after the coup in the 1970s and worked in the wine business, for one year in Ohio, for five years in upstate New York and then in California in 1981. He became winemaster at KJ in 1997. Now he oversees the entire KJ portfolio, including about 20 winemakers on the team in three different tiers of specialists. Dan says that when Randy was making wine at De Loach, he “met” Randy through the extraordinary wines he was making, which were unlike any one else’s. He has a vision. He understands vineyards, when to pick and what varieties are doing what things in which vineyards. Randy sent Dan a pair of clippers, so they can go out into the vineyards and work the vines. Dan says that the KJ products are uniformly excellent and over-deliver for their usual retail price. They have 2400 different lots per year, so they have to do a lot of tasting and grading. They put each individual varietal together, then they have their 5 tiers. 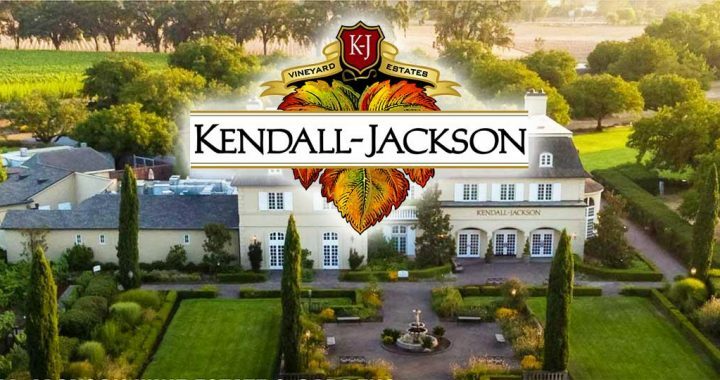 They also manage the Kendall-Jackson Wine Estates & Gardens, where they serve fine food and grow vegetables in their own garden. Dan says it’s fascinating to see how passionate they are about their gardens. They are tasting a Pinot Blanc from Amity Vineyards in Oregon. It’s a variety widely planted in Oregon, very little in California. They love wines from unusual grape varieties. Dan would call it a baby brother to Chardonnay. It’s interesting with nice flavors and great minerality in the finish. They grow a lot of Pinot Noir and Chardonnay in Oregon but Dan thinks this Pinot Blanc is the best representative for Oregon vineyards. They also brought a Chardonnay, from Santa Maria Valley, the Kendall-Jackson Estate appellation wine. They have vineyards on the Santa Maria Bench, which is an elevated portion of land. Dan says it’s a difficult wine to make, with a great aromatic quality. The problem is, that if you serve these wines too cold, you never catch the character. It can’t be 40 degrees, it has to be about 50-60. Randy Ullom mentions that it’s basically room temperature, which is how they taste everything.